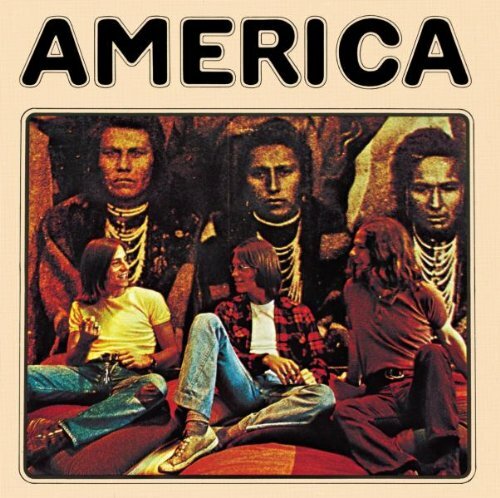 In 1971 "America" released their debut album "America" . The album was initially released without "A Horse With No Name," which had not yet been recorded. When "Horse" became a worldwide hit in early 1972, the album was re-released with that track. The album went to #1 on the Billboard album chart in the US and stayed there for 5 weeks. It produced two hit singles, "A Horse With No Name" spent three weeks at #1 on the Billboard singles chart in 1972 (it peaked at number 3 on the Adult Contemporary chart), and "I Need You" hit #9 on the Billboard singles chart and #7 on the Adult Contemporary chart. Several other songs received radio airplay on FM stations playing album tracks, including "Sandman" (long rumored in the US Navy to be about the VQ-2 air squadron formerly based in Rota, Spain) and "Three Roses". The album was certified platinum by the RIAA for sales in excess of 1 million units in the US. Ótimo disco! Ótima banda! Abraço. Really is a Great Band. Thank you for your comment.